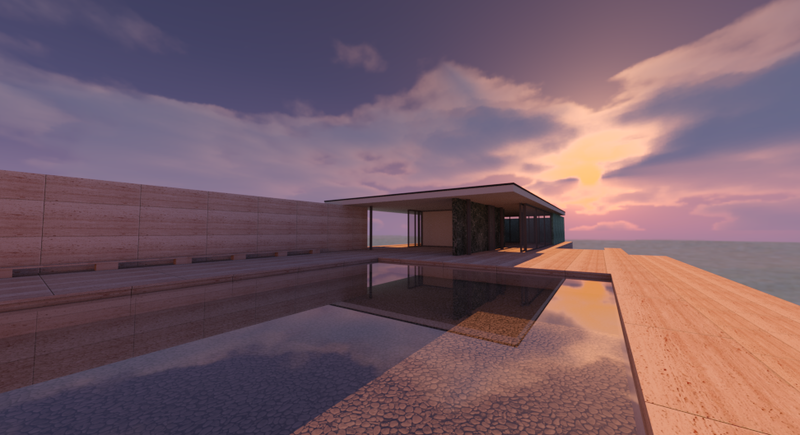 Your SketchUp scene (geometry, textures, lighting, and materials) is *exported to ProWalker/Iray. 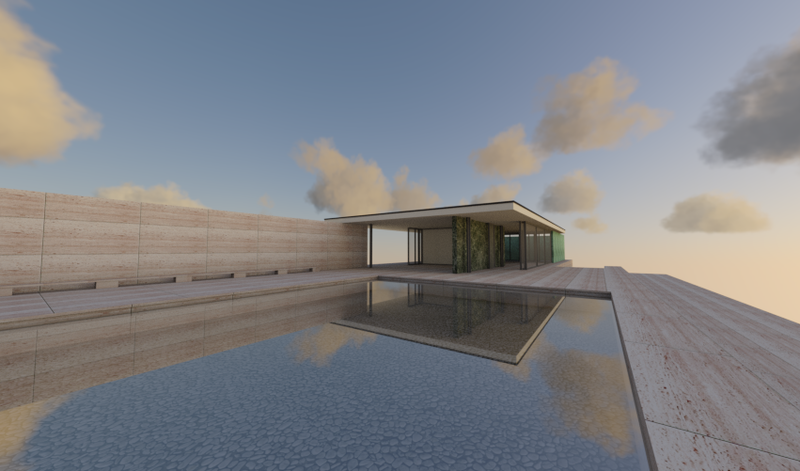 Render calculations begin and the viewport preview image is progressively refined as samples (iterations) are completed. *Note: There is not a two-way link between SketchUp and ProWaker for geometry or layer visibility. If you make changes to your SketchUp model, you must close and re-open ProWalker before the changes will be reflected. 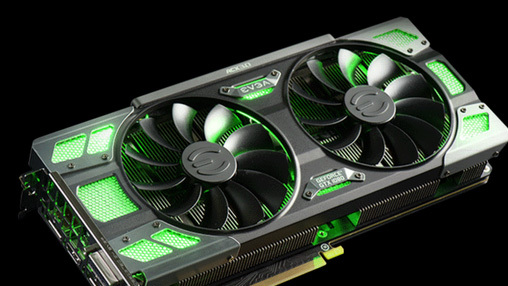 NVIDIA Iray is a progressive render engine, which means it gradually improves the image from low to high quality as additional samples are completed. 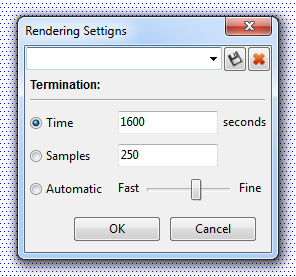 ProWalker only stops rendering when it reaches a user-defined "termination criteria" specified in the render settings dialog. Any change to the camera or lighting/background settings will interrupt the preview render and cause Iray to begin again from zero samples with the new settings. The goal with this approach is to allow for rapid iteration during the design process, since a clear preview will usually resolve within a few seconds. The user would then set the termination criteria to a much higher sample count when they are ready for a final render. Denoise can be turned on or off without interrupting the render process, as it is a post-process operation and separate from rendering calculations. ProWalker offers two different navigation styles: keyboard-based and mouse-based. Usually you will use some combination of the two. Using the Left, Right, Middle Mouse Button, and Scrollwheel, you can manipulate the ProWalker camera and move through your SketchUp scene to position the camera. Right Mouse Button — Tumble/tilt the camera from a fixed position in space. Middle Mouse Button — Orbits the camera around the mouse pointer. Scrollwheel — Zoom in and out. The zoom target is the mouse pointer, same as in SketchUp. Shift + Middle Mouse Button — Pans the camera up, down, left, or right without affecting the camera tilt or rotation. Left Mouse Button — Moves the camera forward, backward and allows for lateral rotation along a constant camera height. ProWalker GPU also offers "game-style" keyboard navigation using the WASD and Sacebar keys. W — Moves the camera forward while maintaining a constant camera height. A — Moves the camera backward whle maintaining a constant camera height. S — Moves the camera sideways, to the left. D — Moves the camera sideways, to the right. Spacebar — Holding spacebar moves the camera upward along the vertical axis. Shift + Spacebar — Moves the camera downward along the vertical axis. You can change the SketchUp date and time settings by holding Ctrl + Left Mouse Button and dragging the mouse to the left or right. This action is best performed in Nav or Quick mode. Pressing the sync button will snap the ProWalker camera to whatever view is currently seen in your SketchUp viewport. This provides an alternative to the navigation controls listed above and lets you continue composing your views in the SketchUp viewport if you wish to do so. Note that this is a one way link and cannot be used to make the SketchUp camera snap to the ProWalker viewport — it only works the other way around. ProWalker includes four render modes, capable of delivering a range of speed and quality adaptable to any project requirements and deadlines. This is the lowest quality setting, and is meant to be a "performance friendly" option for navigating in the Podium Walker viewport. Nav mode should be used for setting up camera angles, or making quick tests, but never for final renderings. This is a fast render mode, optimized for fast performance at the expense of quality; final render quality is somewhere between Nav and Id mode. Qck can either act as a preview setting, or as a time-effective option to render animation on a tight deadline. Qck uses "screen-space Ambient Occlusion" to simulate indirect lighting instead of fully calculating global illumination for every frame. 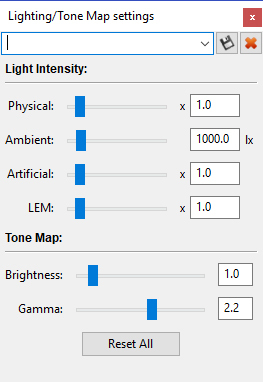 This can be adjusted in the lighting dialog using the "ambient" slider. 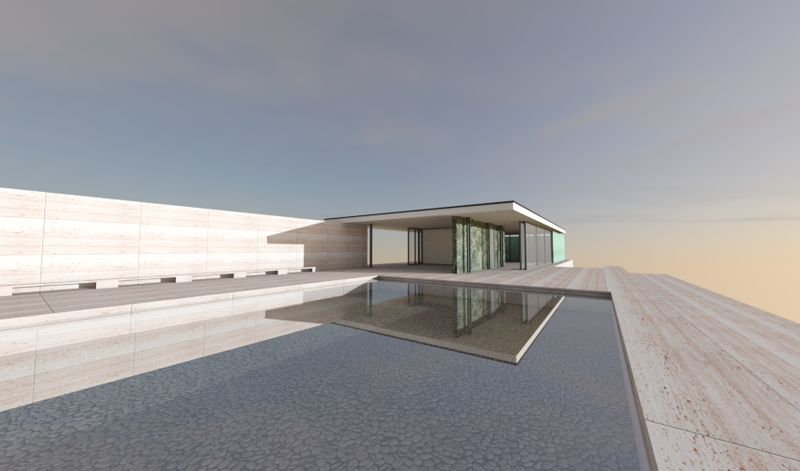 Id mode uses the "Iray interactive" biased rendering algorithm to reach an efficient compromise between quality and speed. Render quality is vastly improved from Qck mode and also improves upon previous versions of Podium Walker. This is now the default setting, and an efficient way to render both stills and animation in ProWalker. Id mode reaches "final-frame" quality at a lower sample count than PR mode, often converging on a relatively noiseless image between 100 and 200 samples. The highest quality, but slowest setting. 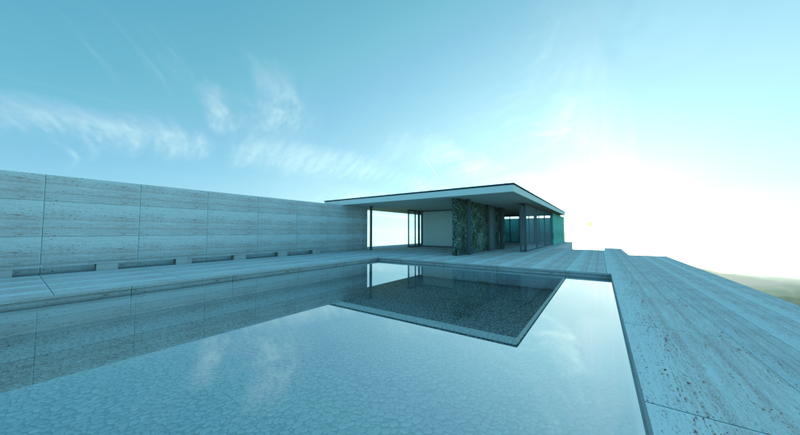 Iray Photoreal is an unbiased pathtracing algorithm, and produces a very high quality image. Photoreal mode is suitable for producing high quality still images, nearly approaching the quality of SU Podium. "Ph mode" is less efficient than Id for rendering animation, but possible on top-spec workstations. Denoise greatly improves the speed and responsiveness of ProWalker by using predictive noise-reduction to render video or still images up to five times faster, while retaining the high quality of Iray pathtracing. With denoise, ProWalker is able to produce a clean preview render within seconds, and can reach final-frame quality at a far lower sample count than without. This is an on/off feature and requires no additional work or configuration from the user. 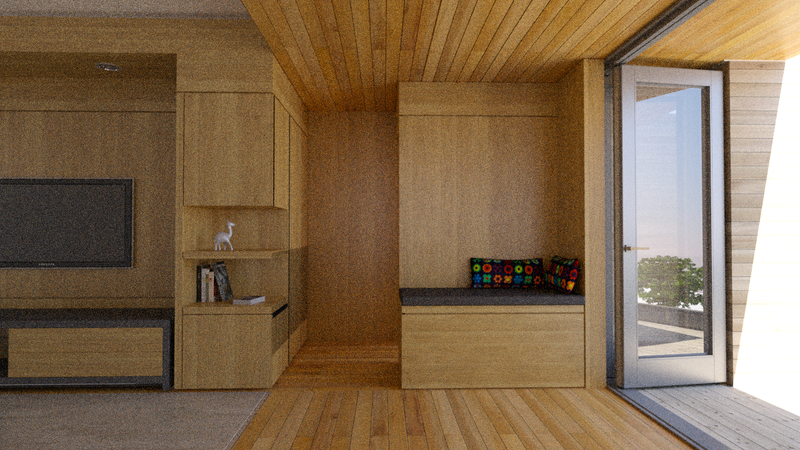 If there's a shortcoming, it's that the denoiser can "soften" fine edge detail, particularly in interior renders. This is something to pay close attention to when you're using the denoiser in PR mode. The denoiser will almost always eliminate the noise in an image before the edges have reached a sufficient level of refinement. Often an image that "looks finished" at first glance, could benefit from additional samples to clarify edges. Ultimately it's up to you to decide when and where to use the denoiser. Please see the denoise page for more information and examples: ProWalker Denoise. The quality of a still render or animation depends on the number of samples/iterations that Podium Walker is allowed to perform per frame. 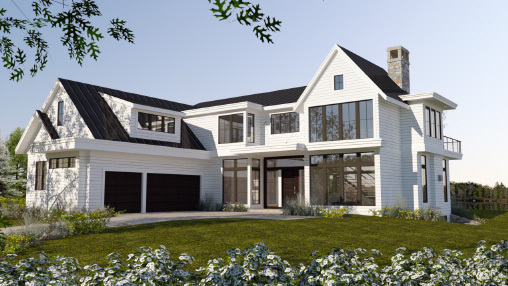 Iray renders are noisy at low sample counts; as samples are added the render engine progressively refines the image, eliminating noise and artifacts with every new iteration. So a frame with 100 samples is always going to be noisier/less refined than a frame with 500 samples. Sets a maximum time limit per frame. When that limit is reached, Podium Walker moves to the next frame whether or not all noise has been resolved. Sets a maximum number of samples per frame. Use this if you've done test renders and know how many samples are required for your desired image quality. An automatic solution that attempts to find an efficient balance between speed and quality. Move the slider to the right for higher quality but slower rendering. ProWalker's tools for creating and rendering fly-through animations contained within the View/Path/Movie dialog, which can be accessed by clicking the orange arrow icon. 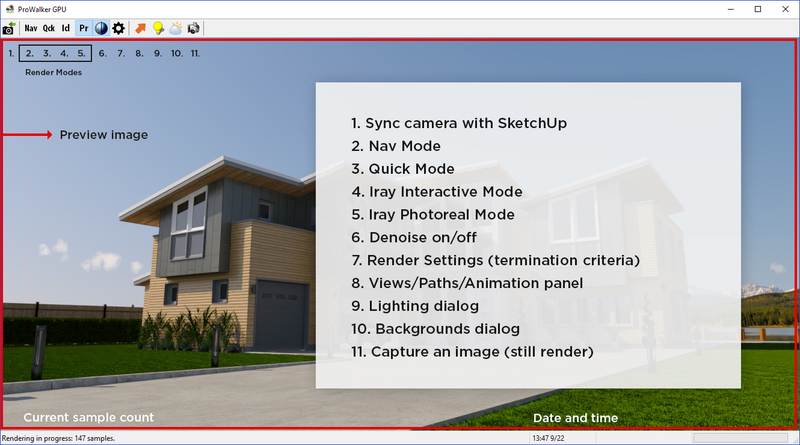 Within this dialog the user can import camera position from SketchUp scenes, create keyframes, set-up camera paths for animation, add scene transitions, and render/export final movies. The animation/movie interface is quite extensive and requires its own page. Please read the following page for information on creating and exporting animations with ProWalker. Creating and exporting animations with ProWalker. ProWalker GPU recieved an extensive update to its animation tools in Version 1.1.5, which was released in early June, 2018. If you are using an older version, please update ProWalker here. The ProWalker GPU lighting dialog controls the strength/brightness of the physical sky, artificial lighting, ambient light, and light emitting materials. There are also tonemapping controls to make global lighting adjustments via the brightness and gamma sliders. The "ambient" slider only works in Qck mode which uses screen-space ambient occlusion to fake indirect light. 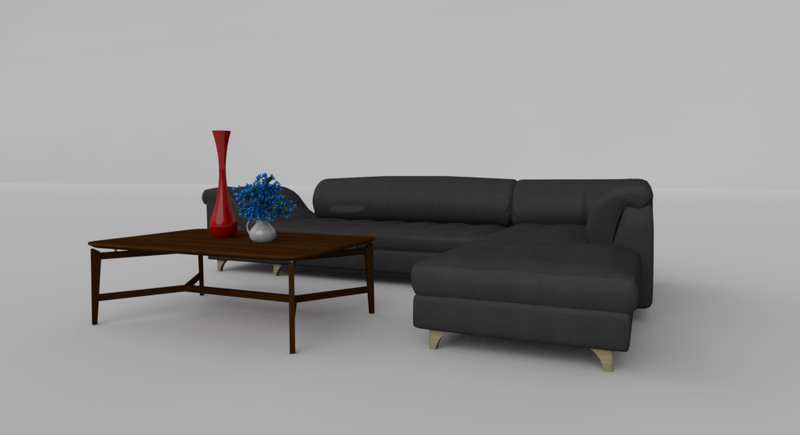 ID and PR mode actually perform global illumination calculations. The LEM (light emitting material) slider only works in Pr mode. LEMs have only been fully implemented in Photoreal mode at this time. Physical determines the brightness of the physical sun/sky system AND also controls the brightness when using image based HDRI lighting when the "texture" radio button is checked in the backgrounds dialog. Artificial a global brightness modifier for all artificial Podium lights in the scene, including omni lights and point lights. 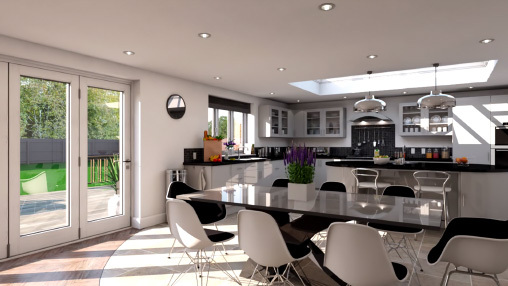 Changes to the individual brightness of artificial lights must be made in the SketchUp scene. LEM a global brightness multiplier for all light emitting materials in the scene. Brightness - This is an illumination adjustment applied linearly to all pixels in your image to lighten or darken the render. Generally, we recommend you use the "physical" slider to get your illumination as close as possible to the desired result before touching the brightness slider. Gamma - In ProWalker GPU, the gamma slider works similarly to a contrast adjustment in Podium Image Editor. Lowering the Gamma value will appear to increase contract, darkening shadows and brightening highlights. Increasing the gamma slider beyond 2.2 has the opposite effect, compressing the value range and decreasing contrast..
Like materials, ProWalker GPU does not have its own interface for creating artificial lights. The user must therefore use the SU Podium lighting dialog for this purpose. Read more: The sliders and functions within the ProWalker GPU lighting dialog are explained in more detail here. ProWalker GPU does not have a dedicated interface for creating and modifying materials (diffuse, reflection, transparency, emission). ProWalker instead recognizes and relies on SU Podium's materials dialog for editing these settings. To configure material settings for ProWalker GPU, open the SU Podium materials dialog and edit material properties there. Information about Podium material settings is here. If you do not own an SU Podium license: You can simply install the free trial. When the trial ends, you will no longer be able to render with SU Podium, but you will still be able to access the material and lighting interface. Compatible with Podium Browser materials: Additionally, if you prefer to select pre-made materials and lights, Podium Browser is fully compatible with ProWalker GPU. (Note - Podium Browser requires a separate license). Back Side/ Front Side problem.There is an issue with textures that are assigned to the back side of a face and then are exposed in the model. ProWalker GPU (iRay) will render these textures inversely. To avoid this problem, make sure exposed faces are front side and not back side. 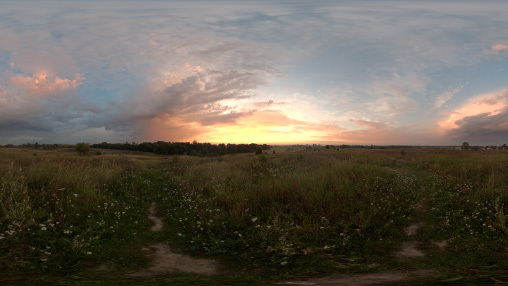 The Backgrounds dialog offers two different approaches for natural lighting: physical sky simulation, or image-based HDRI lighting. 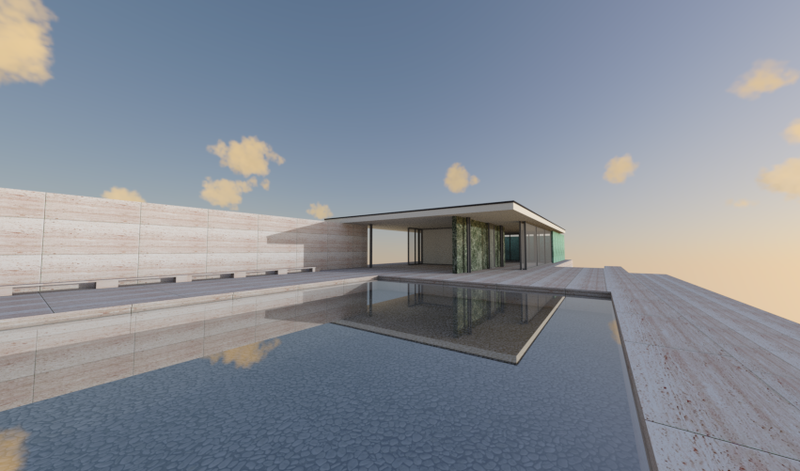 When Simulation is selected, the user can choose between five different physical sky simulations that use SketchUp's date and time settings to determine shadow angle and sky brightness/tonality. Advantage: Precise control over shadow angle. Simply change SketchUp's date and time settings, and use the free Solar North plugin for additional control. Advantage: Ability to animate shadows to create timelapse animations. Disadvantage: Limited to the five sky styles that are available in the drop-down. When Texture is selected, ProWalker uses image based HDRI lighting to illuminate the scene. Five HDRI options are included with the ProWalker installation, but licensed users are entitled to download and use up to 40 additional HDRI skies from the HDRI downloads page. These are not included in the installation to keep the file-size of the installation managable, but are easy to install using the instructions here. Advantage - Ability to rapidly test a myriad of different background styles, which all have their own tonal character. Advantage - HDRI lighting is very useful for studio and product rendering. Disadvantage - No control over sun/shadow angle — the lighting embedded in the HDR file is what you get. 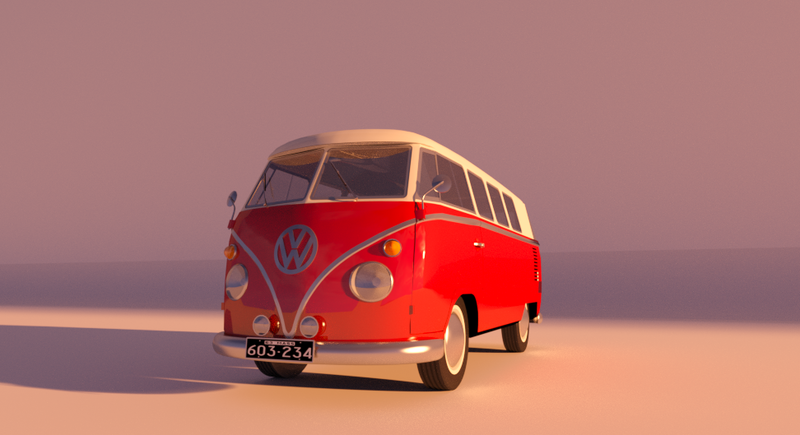 Disadvantage - Cannot animate shadows when using HDRI. Note - When exporting a still image, denoise is not applied until the end of the render process. Don't worry if it appears that the denoiser isn't working, you won't see it in the preview.